The 2019 MSYSA AGM details are TBD. We hope to see you all there! 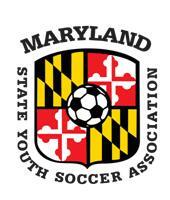 To view the proposed changes to the MSYSA ByLaws, please click HERE. Annual awards will be presented during this years AGM. To learn more and to submit a nomination please click here. All nominations will be made pursuant to Article IV, Section 7 of the MSYSA Bylaws. To read nominee bios, click HERE. The affiliate vote counts for the 2018 MSYSA AGM are below. Any member with "***" beside their name should contact the state office immediately (410-678-5401). The votes have been calculated according to Article IV, Section 8 of the MSYSA Bylaws. Please note that in order for an individual to be eligible to cast a vote for an affiliate member club or league, an official (e.g. Board Chair/President/Club Director etc.) from the affiliate member club or league must either submit a delegate list to the MSYSA state office (fax: 410-768-5406, e-mail: programs@msysa.org) on club letterhead by 5:00 pm on Thursday, June 21st or hand in the delegate list at the AGM no later than 11:30 am.